In St. Helena, 1,800 feet up Napa Valley's Spring Mountain, Charles and Stuart Smith started Smith-Madrone Winery more than four decades ago, when there was still room at the top in the "pioneer" field. 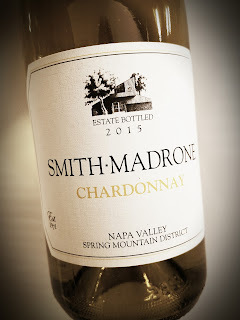 The winery's name is a tip of the winemaker's hat to the Smith brothers, and to the madrone trees that populate the property. This lush 100% Chardonnay is from grapes grown in Napa's Spring Mountain District. They harvested smaller clusters in the 2015 vintage, so flavors are a bit more concentrated. Aging took place over 10 months in barrels, with 80% new French oak used. The alcohol hits a hefty 14.9% abv and 512 cases were made. It retails for $34. 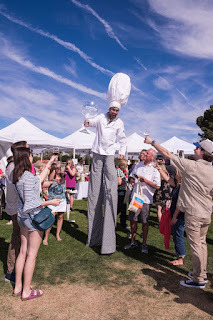 Here are some pictures from the recent Rancho Mirage Wine and Food Festival. 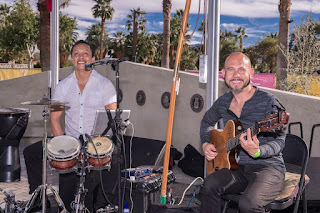 They were taken by Marc Glassman of Glassman Photo and were supplied to me by a publicist. 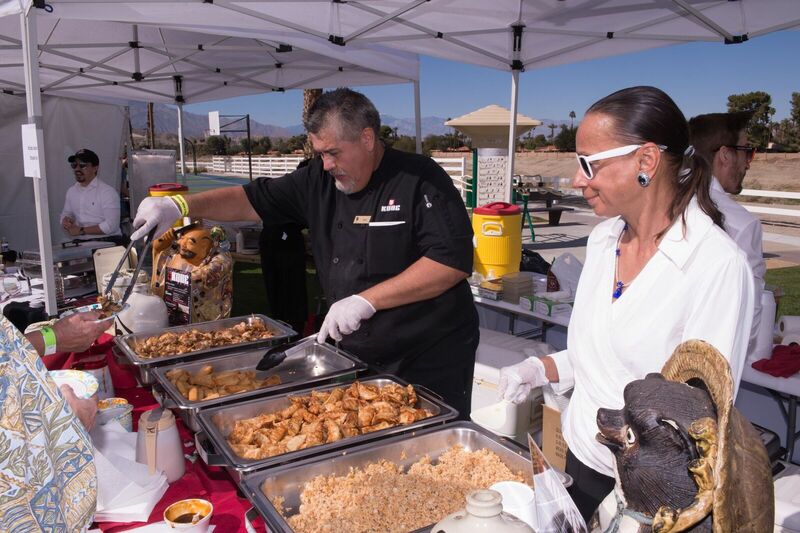 She says that there were some concerns about the food samples running low during the event, which took organizers by surprise. The organizer says he has made a note of that and the issue will be addressed at next year's event. 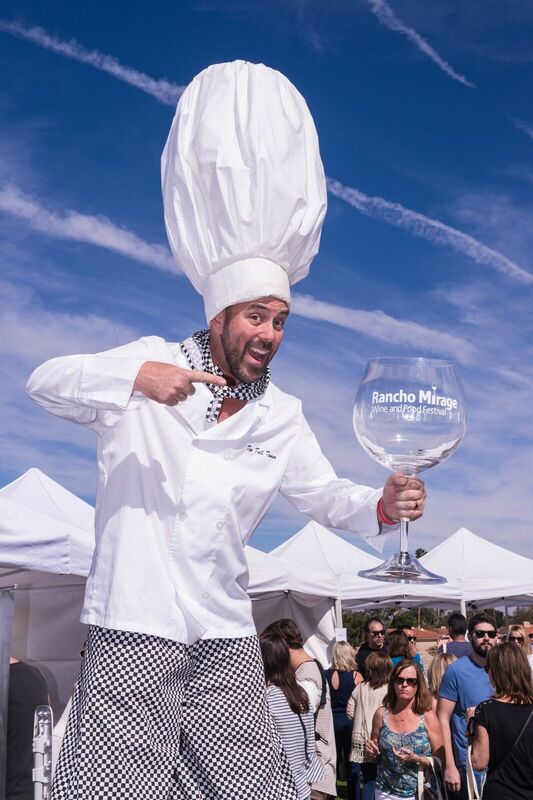 More than 200 handcrafted wines and cuisine from 15 of the area's top chefs were featured. 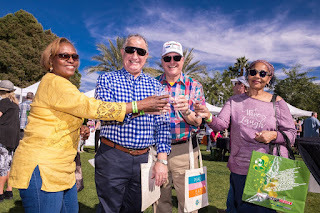 The event was put on by David Fraschetti, a full time resident of Rancho Mirage and the creator of the VinDiego Wine and Food Festival held in San Diego each April. 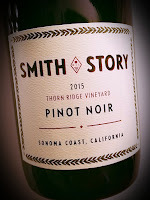 A virtual wine tasting event was staged recently for Smith Story Wine Cellars. 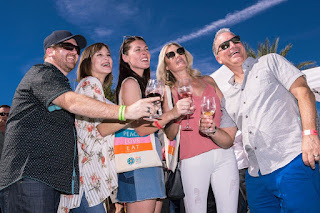 "Virtual tasting" is when a bunch of wine writers/tasters get together on social media and spend an hour or so letting technology link us with great people and wines. There are far worse ways to spend time. 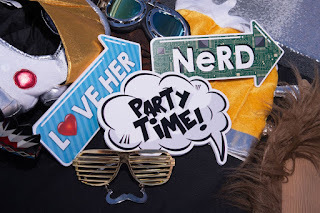 This BrandLive event was put on by Charles Communications and can be viewed in retrospect here. Smith Story Wine Cellars is based the Russian River Valley AVA, with a second tasting room in the Anderson Valley AVA. 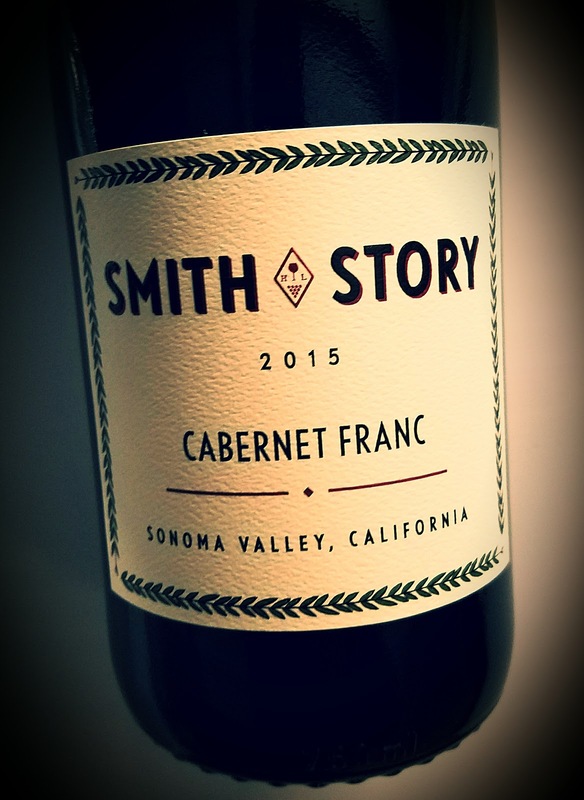 Smith Story is credited as being America's first successfully crowd-funded winery. 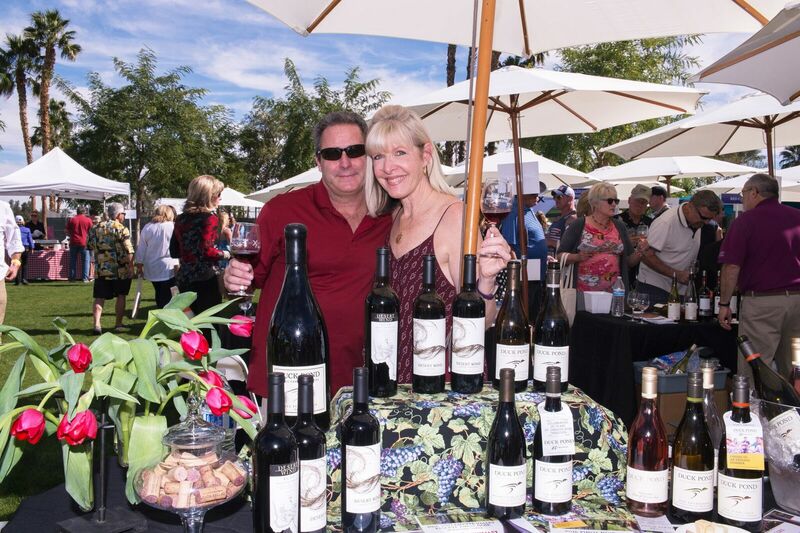 Eric Story and Alison Smith Story call their 2013 creation "the little winery that did." They call their relationship "a friendship that caught on fire." The Smith Story wines are handcrafted from twelve family owned vineyards throughout Sonoma Valley, Sonoma Coast, Russian River Valley, Knights Valley, Pinot Mountain, Anderson Valley and the Rheingau Region of Germany. 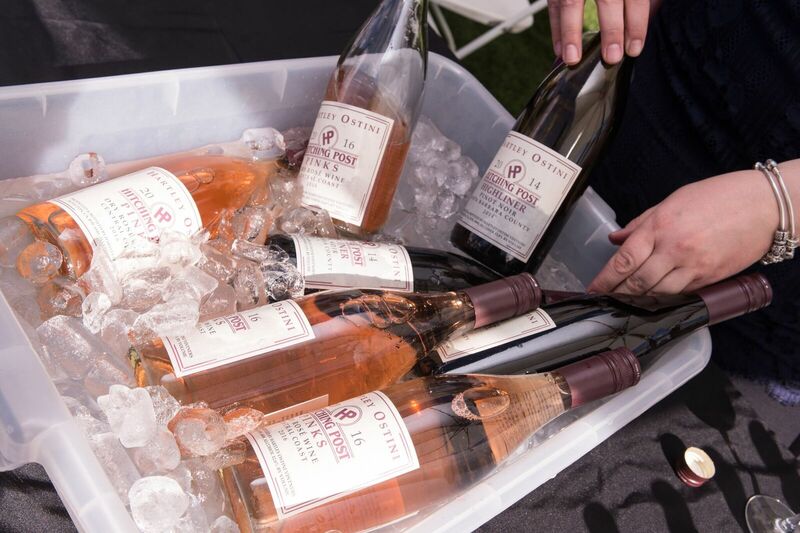 Winemakers include Eric Story and Consulting Winemaker Katy Wilson, although Ross Cobb was also a Consulting Winemaker from 2014-2016. This almost clear wine smells as fresh as spring itself. 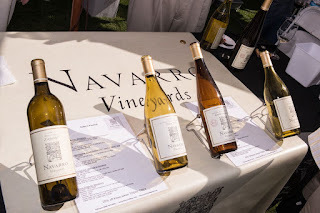 The typical grassy notes associated with the variety are mercifully muted, as is often found in Sauvignon Blancs pulled from California vineyards. The nose also shows distinct citrus and wet rock components. The mouthfeel is spry and racy with a very nice level of acidity. The palate is clean, loaded with minerals and a peppery citrus zest. Lemon meets spice and everything’s nice. There were only three barrels of this wine made and it hits 12.9% abv. The virtual tasters adored the tea leaves, bramble berries, baking spice, forest floor and mushrooms. It was praised as an elegant wine, the kind Pinot Noir lovers love to love. Cabernet Franc is reportedly Eric Story's favorite grape variety, and the Loire Valley is the muse for his winery. The virtual tasters loved this wine. It is extremely dark; light has a tough time passing through the glass. The nose is very savory, full of leather, minerals and bell pepper. It's a "heavy" nose, one that conveys a very full flavor. And so it is, but with a twist. Instead of the black fruit indicated on the nose, red fruit comes through on the palate in fairly bright fashion. The savory aspect is there, too, as spices drape over the flavor profile. I can imagine that something off the grill, smoked in rosemary, would be a perfect pairing. Virtual tasters liked the tart fruit and spiciness of this one. They also complimented its nose of roses, licorice, black pepper and eucalyptus. 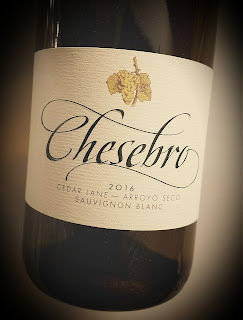 Chesebro Wines come from beautiful Carmel Valley, with vineyards there, as well as in the Arroyo Seco AVA. That's where the Sauvignon Blanc grapes for this wine were grown, in the Cedar Lane Vineyard farmed by Michael Griva. The Arroyo Seco AVA is centered around Monterey County's Arroyo Seco River, a seasonal waterway that brings rain and snowmelt from the Santa Lucia Mountains to the Salinas River. Commercial grape growing started there in 1961 and has grown to some 7,000 acres under vine. The region is about 40 miles away from the deep waters of Monterey Bay and parts of it get direct exposure to the Pacific Ocean through the Salinas Valley. This wine has a lovely golden tint. The nose is full of citrus zest and a lanolin component, with only a slight grassiness. 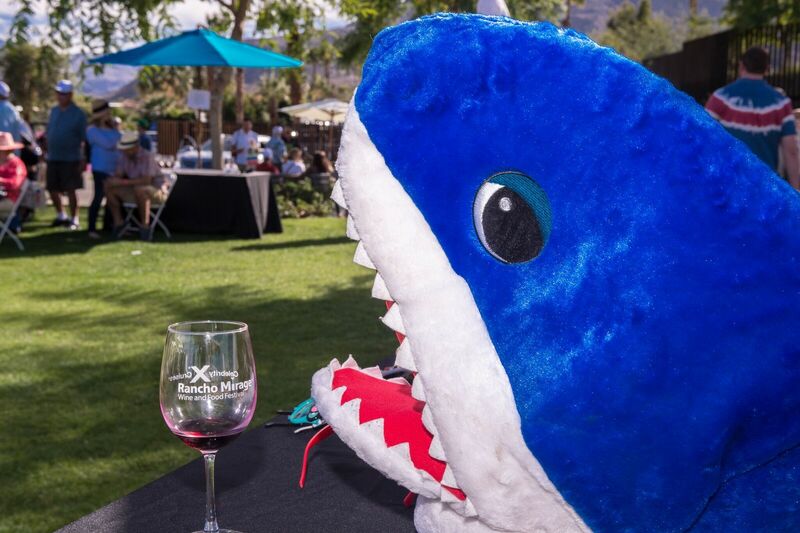 It's a very California SauvBlanc. On the palate, there's more lemon, some apricot and a gorgeous salinity with a zippy acidity to carry things along. The mouth, however, is full and rich while the long finish leaves lemon peel lingering. 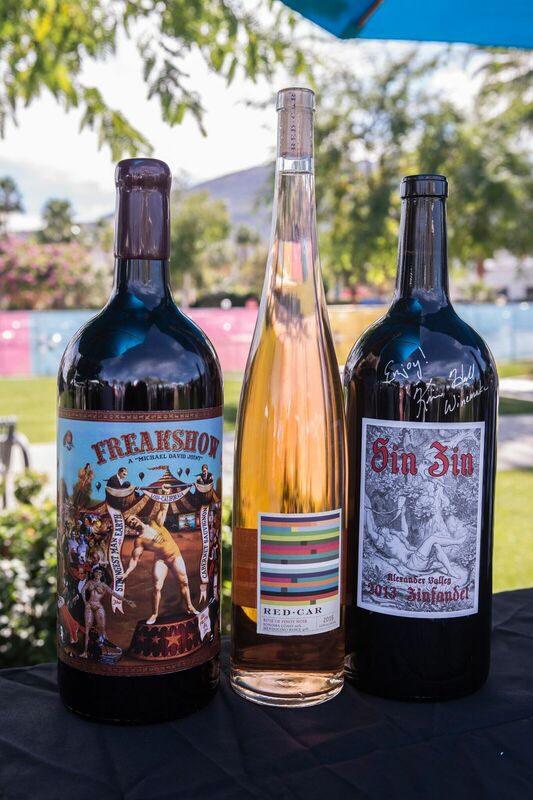 Alcohol sits at 12.5% abv and the wine sells for $18. Here's a date to put on your calendar: May 12, 2018. That’s the next Garagiste Festival, a Northern Exposure event set for Sonoma. I mention this because I recently attended the Garagiste Southern Exposure wine show, in Solvang, and I heartily recommend that you support them when they are near you. 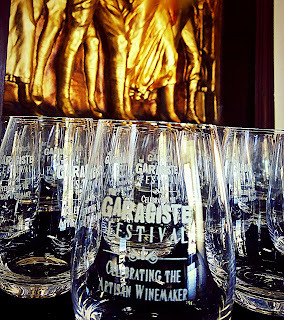 The Garagiste Festival began in Paso Robles, an effort to spotlight some of the many small-production winemakers in that region. The festival's name comes from the French word that describes small, maverick wine producers operating in garages instead of chateaux. 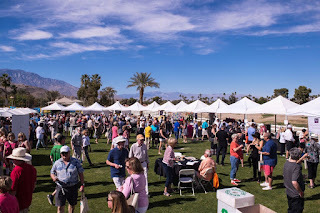 Most of the producers who pour at the Garagiste events have no "winery" - they buy grapes directly from choice vineyards and turn them into wine in low-overhead locations. Most make fewer than a thousand cases per year. 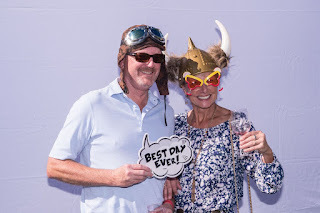 Stewart McLennan and Doug Minnick are co-founders of the Garagiste Festival, Lisa Dinsmore is the Event Director and Melanie Webber handles the public relations. 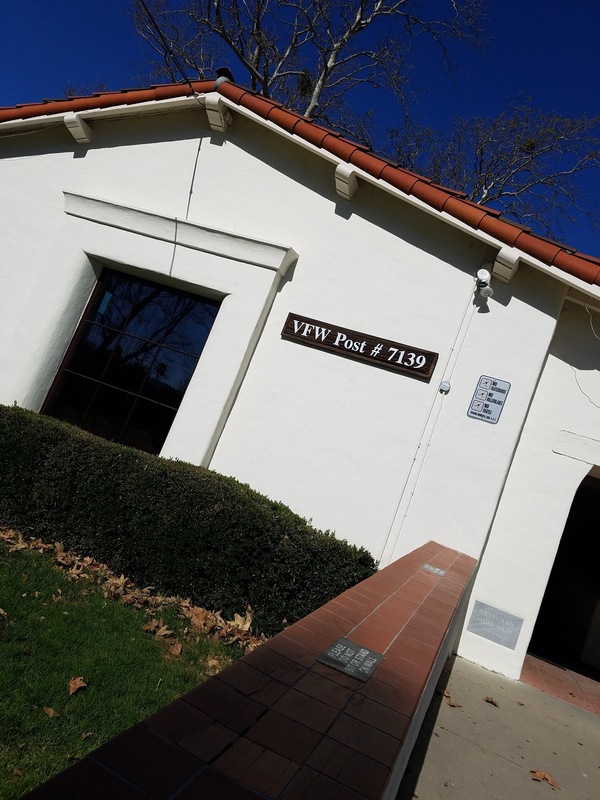 They once again rented out VFW Hall Post #7139 on a beautiful February day that cooled off a Southern California winter heat wave. It was fitting to see the office of the Santa Barbara County Agriculture Commissioner right next door. 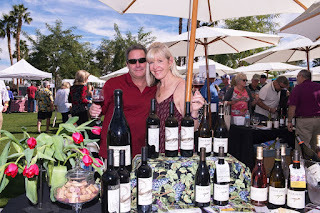 Forty-two low-production winemakers spilled more than 200 hand-crafted wines for the eager tasters, of which I was one. 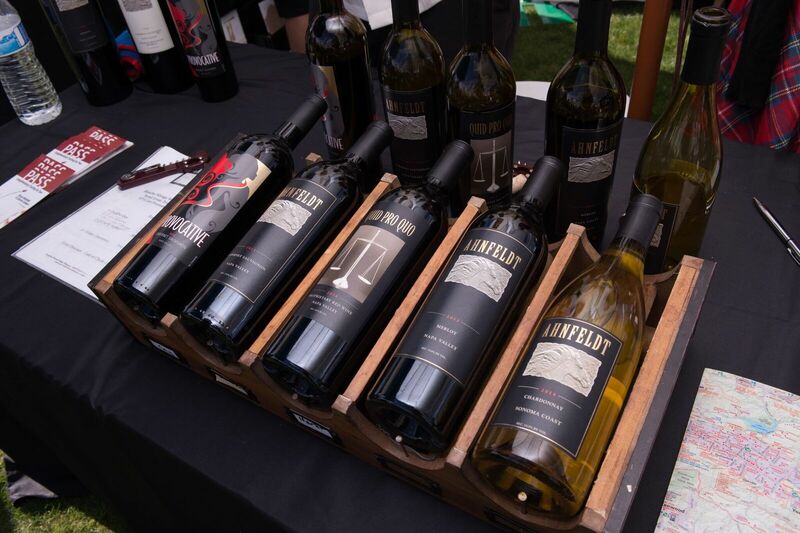 A trip to Santa Barbara County's Santa Ynez Valley is always set off with a Rideau Vineyard visit. Recently, we left L.A. early enough to get in our traditional stops at the bagel place in Camarillo and the Milpas Trader Joe's with the marine layer still making a cool morning of it. Soon there will be an extra diversion when the blueberry farm starts selling those beautiful berries. The sun broke through as we pulled into the grounds of Rideau Vineyard. It's a Cajun French name, so I have always pronounced it as REE doh, as it would be in my native southeast Texas. At the tasting room they pronounce it rih DOH. Maybe they’re just trying to be fancy, but I'll go with what they say. They oughta know. Iris Rideau owned the place for 20 years before selling it to some folks from Montreal in 2016. They operate the winery with the same family-run feel as did Iris. There's a great wine event coming this weekend for residents of California's desert communities and all of Southern California. 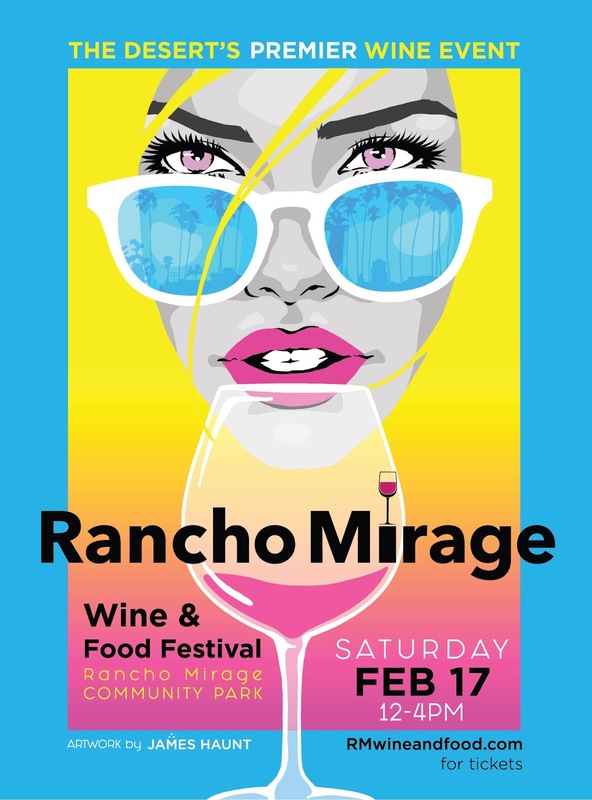 The Rancho Mirage Wine and Food Festival is this Saturday, February 17th 2018. The organizers have kindly invited me to be an ambassador of what looks to be a fantastic event. 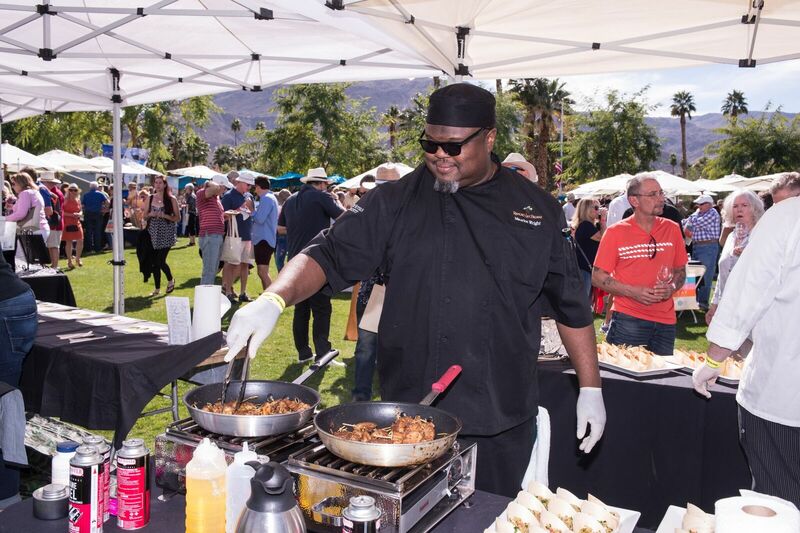 More than 200 handcrafted wines will be poured and you'll sample cuisine from 15 of the area's top chefs. 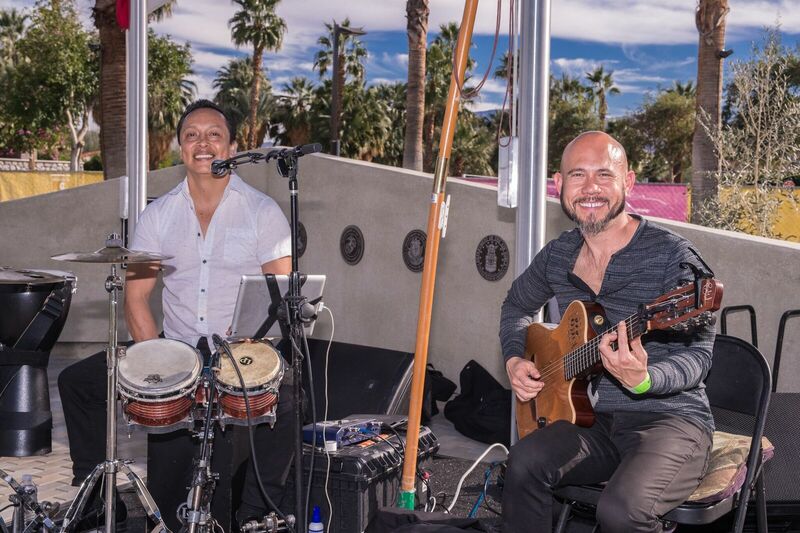 The event is put on by David Fraschetti, a full time resident of Rancho Mirage and the creator of the VinDiego Wine and Food Festival held in San Diego each April. 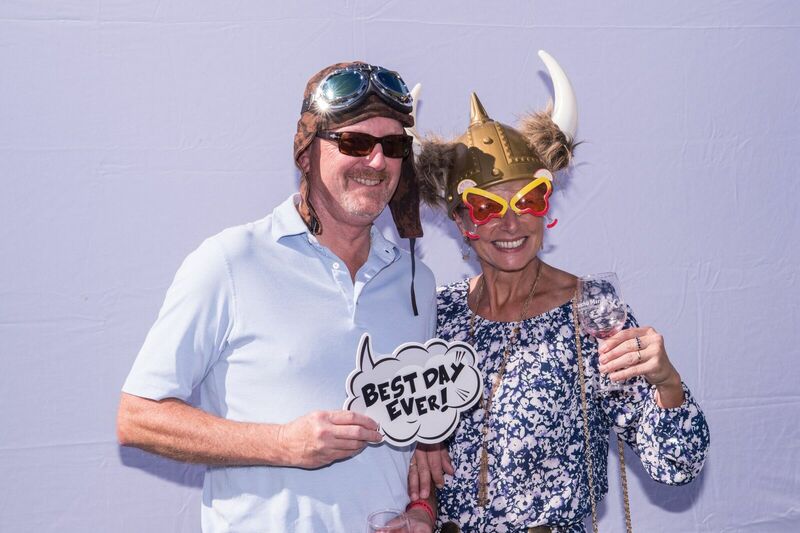 You can find the event and follow the #RMWineFest2018 on Twitter: @rmwineandfoodfest. For a discount, use the Now And Zin Wine promo code: NZWine. 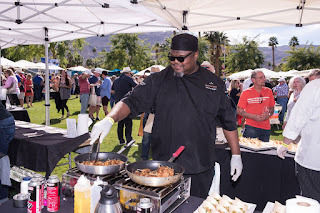 Tickets to the Rancho Mirage Wine and Food Festival start at $70 and are available on the fest's website. The all-inclusive General Admission and VIP ticket includes a crystal souvenir wine glass and unlimited tastings of the wines, a variety of gourmet appetizers, cheeses, artisan breads and olive oils. Early Entry VIP tickets allow attendees to arrive one hour earlier than General Admission. You must be 21 to attend. Barlow Vineyards is one of the wineries that will be attending, and I can't wait to sample the rest of their line. Their Zinfandel is a knockout. Located in Napa Valley’s Calistoga area, Barlow Vineyards was purchased by Warren Barlow Smith in 1994 and it's a family affair still today. They were farmers initially, selling the fruit of their labor. 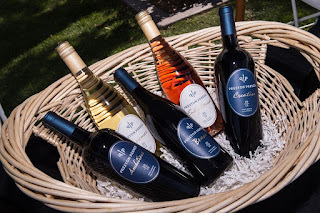 They began selling the vinified fruit of their vines at the urging of a previous winemaker. They made fewer than a hundred cases of this wine and it retails for $35. 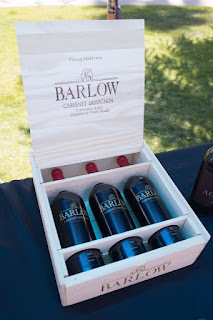 The Barlow Calistoga Unfiltered Zinfandel 2012 is a real crowd pleaser, very dark and aromatic. A blackberry and licorice nose gets a savory whiff of smoke and a shot of vanilla on the side. It's had some time in the bottle and it’s getting very smooth and silky as it ages. On the palate, good, dark fruit stands a little on the tart raspberry side. The oak influence shows in a touch of spice and vanilla, but it doesn't overwhelm. The acidity is nice, and the tannins are good. This can pair with a pork chop, but it's a great sipper, too. The Norton grape, the beginning of my obsession with American wines. House Gustave Lorentz is near Bergheim, in the northeastern French area of Alsace, just across the Rhine River from Germany. Charles Lorentz took up where his father left off, on an old mountain hillside. Named a Grand Cru in 1983, the vineyard has been certified organic since 2012. 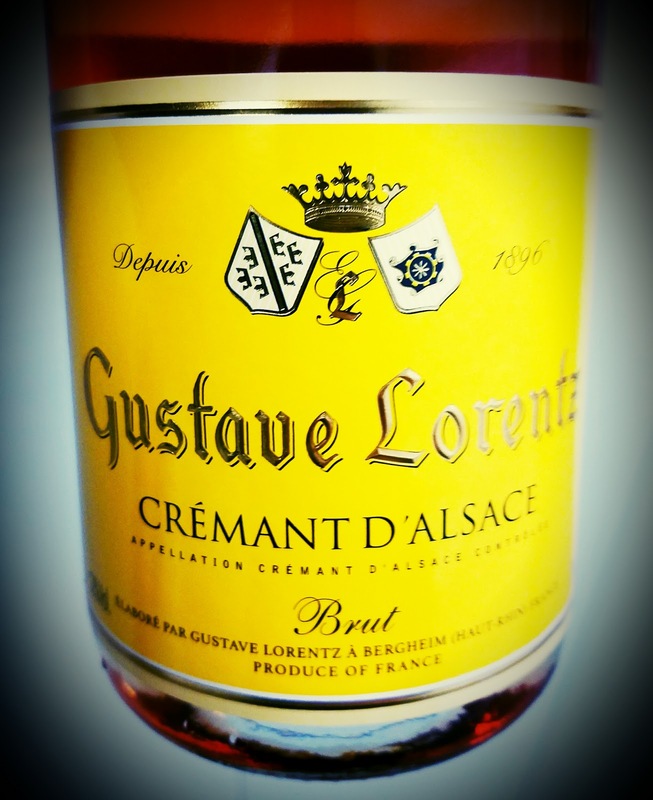 This fun bubbly from France's Alsace region is pretty in pink and pleasantly pungent. The brut smells like more strawberries than you could fit into a bushel basket. There's also a lovely, light earthy note, which leads on the palate. 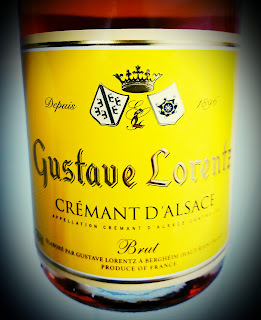 Toasty flavors come into play, along with what the importer calls a "discreetly fruity" aspect. 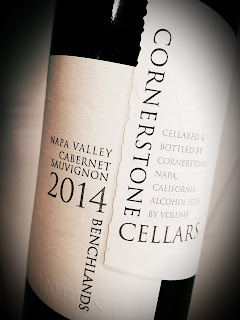 A citrus peel note sneaks in late and finishes long and earthy. Great acidity. A list compiled a few years back.